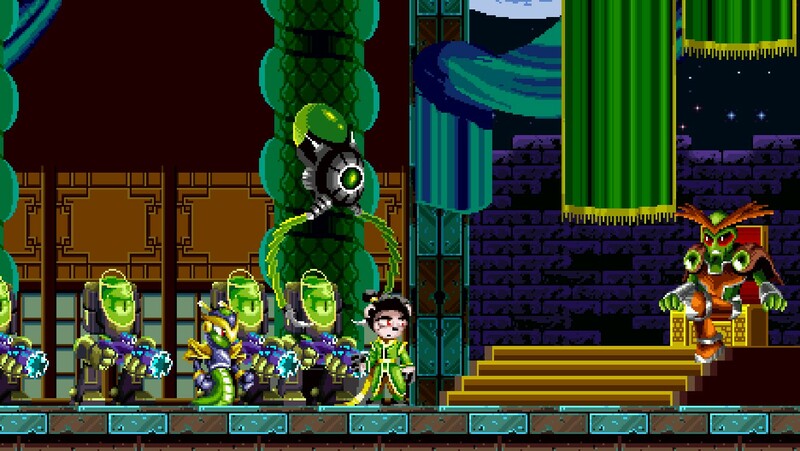 GalaxyTrail have showed up on Steam with their fast-paced action indie platformer; Freedom Planet. 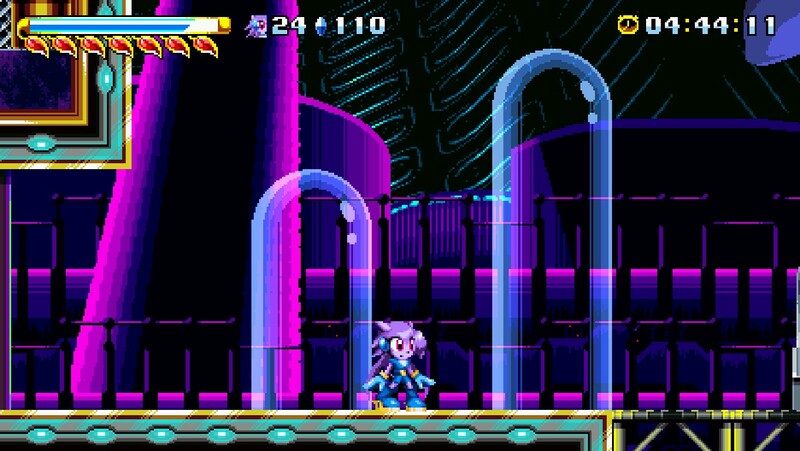 This 2D sidescroller will immediately imagine the good times you had (or didn’t) playing Sega’s classic Sonic games, but don’t see Freedom Planet that way, as it offers many unique features for the modern gamer as well as respecting the genre itself. The game has a fairly motivational story. Set in a fantasy world with personified animals, Lord Arktivus Brevon´s evil acts corrupt the prince by manipulating him with a freaky device and killing the former king. The prince now seeks for power in his lust for evil and by stealing the Kingdom Stone which gives energy to the entire kingdom; this pretty much ruins, well, everything. But don’t fret! You can save everyone thanks to your 3 playable characters: Lilac, a light purple dragonoid girl (way cooler than a hedgehog) with spinning flurry attacks and maybe the last of her species. Carol, a green wildcat that seems to camouflage with some backgrounds, and has a charismatic attitude. Finally, Milla the cute female hound with a gentle personality (playable in arcade mode). Thanks to an encounter with a “duck” named Torque, he will let you know about the situation and ask for your assistance as this entire mess brings conflict between 3 mayor nations, Shang Mu, Shang Tu, Shuigang and even outside the world. Now onwards to bring order and save everybody! The gameplay works as intended, fast-paced with dashes, spins and attacks (which surprisingly have variants depending on where you aim the analog stick!) while you run through perfectly positioned enemies, traps and mechanical gadgets that will boost you through the level or hold you back (I’m looking at you disappearing mechanical blocks and green teleporter…). The game has controller support which is very responsive, but you might want to adjust the sensitivity as platforms get narrower as you advance through the story. Some environment devices may not be too fluent or feel very good at first but you’ll get the hang of it. Soon you’ll notice that this genre makes you hold the analog stick to the right; fortunately there are clever puzzles that will make you go around the stage without making it repetitive. 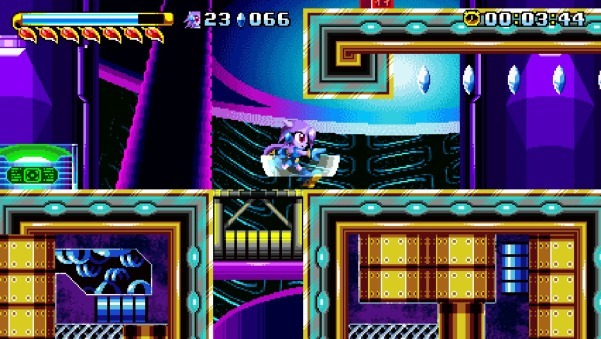 If you are not used to the Sonic games, you might get lost in the levels, also during puzzle solving. On the good side, the levels give you hints by what you need to do, like activating specific colors, lights or obtaining a specific item that will unlock new openings and let you proceed and complete the stage. Fun bosses! Throughout the levels you will encounter mini bosses that will also work as a patch unlocking trigger. Main boss fights are cleverly designed; you will immediately know which their weak spot is. 90% of them (If my math is correct) don’t have a life bar, but that’s fine because hitting enemies in this game feels very satisfying with the classic intermittent white sprite while in slow motion. Another fun fact about bosses is that they resemble their level quite well; you will discover how obvious your encounter with them through the story is, even if some get repetitive. The story is emotional, giving the player enough purpose to play through it until the end. Getting to know the characters and learning tiny bits of their stories is always an interesting pause through missions. The game offers the comedy factor, which surprisingly works well. There many funny characters and cutscenes that will make you giggle like when you played your favorite games on the Sega Genesis. 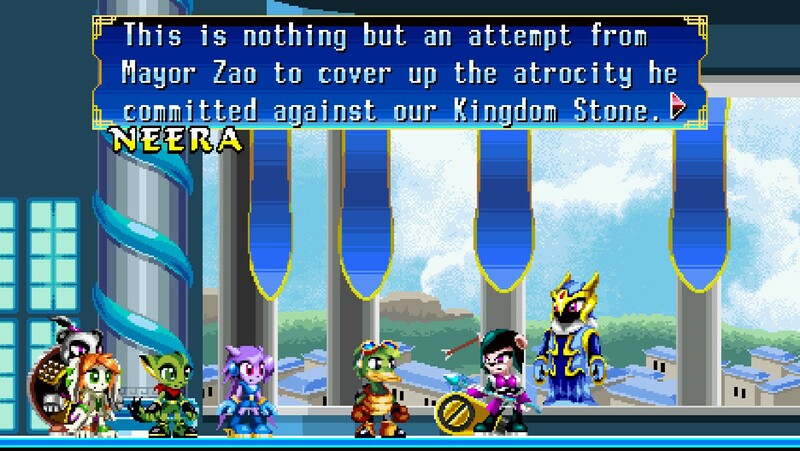 Voices are pretty well thought out, each resembling the stereotypical cartoon character, a range between juvenile teenager language to the wise words of a plot decisive character and the badass Magister, or even the tempered Neera Li who’s just trying to defend her nation, each of them giving life to their character with the necessary intention and dedication. The pixel art in the game is very spot on. It relieves the old-school genre with graphically appealing and well-illustrated tile sets. The characters sprites are very detailed with great shading and illumination. Each having their own particular animation makes it fun while in their dialogues. Overall, the animations are very fluid and smooth; they also include small details that always add to making a game great. Every level is designed properly; jungles, architecture and robotic themes are well made. The original soundtrack catches the gamer for feeling the general ambience and mood of the level. Some tracks may be a bit saturated, but will give it a pass since basically that “era” was supposed to be like that, so the proposal works. With attractive tunes and well balanced mixing, the music is of course very pleasant throughout the game. 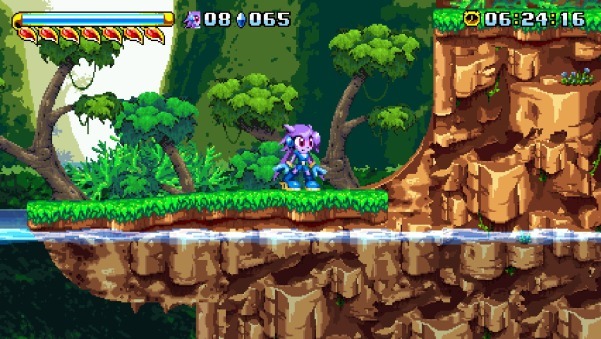 "Freedom Planet" is an appropriate title, you must save your planet. Keep in mind these features, do what is right, protect your loved ones and bring down the evil menace. 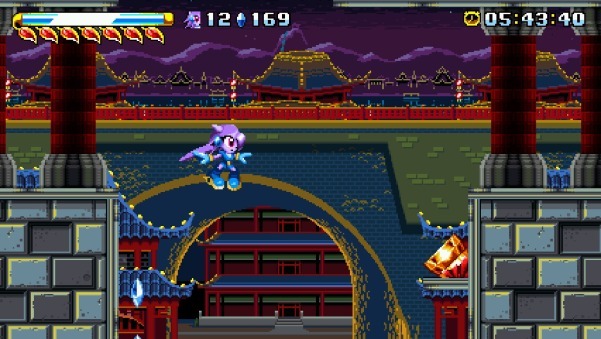 Freedom Planet is an emotional, comedic and fun fast-paced platformer that will keep you on your toes and wary of incoming dangers. It is a game that uses the basics of classics and applies modern attractive features, giving it a fresh feel.